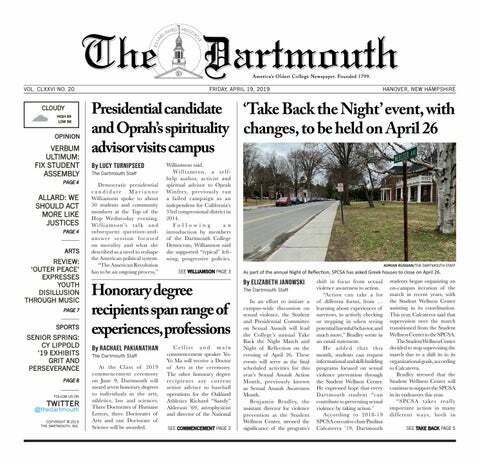 According the 2012 National Survey on Drug Use and Health conducted by the United States Department of Health and Human Services, more than 60 percent of college students consume alcohol at least once per month, and Dartmouth is certainly no exception. During my first month here, however, I have not had a single drink. Admittedly, it has been a bit strange to maintain my sobriety pledge when you hear statements like, “I have never been as drunk as I was during Orientation.” Coming here, I knew that my first year would be a big adjustment and I have tried to keep an open mind. Alcohol was simply not a substance with which I was interested in experimenting. Personally, I stay sober for my parents; my cultural values as a Hindu; academic and legal reasons and to stay in control. It can, though, be difficult to resist the temptation to drink. Being surrounded by strangers, far away from friends and family and taking college midterms for the first time is intimidating. Attending events geared for first-years is exceptionally hard while being sober. My favorite author, Ernest Hemingway — a well-known alcoholic — is credited with saying “An intelligent man is sometimes forced to be drunk to spend time with his fools.” When I first came across that quote, I laughed at how pretentious and arrogant it was. College, however, has allowed me to see what Hemingway might have meant. Not everyone who drinks is necessarily a fool, but people tend to be more gregarious and less reserved when intoxicated and they often become much looser with their words. Although I have not yet been pressured to drink by anyone at Dartmouth, my choice almost always raises a follow-up question of why I would choose sobriety. I find most people have not pressured me to drink, but rather they have approached it with simple curiosity, so I wonder what gives rise to these feelings of needing to conform to this supposed drinking culture. There might be an unspoken expectation to “pregame” at a dorm before heading out to a dance party, but drinking among ’19s is not solely limited to dorm parties. I have seen many of my friends turn to alcohol after a stressful week of classes. Most of the time, they are drinking alone. I somehow understood the concept of drinking before socializing and taking the edge off before awkwardly gyrating to Top 40 songs in a sweaty basement, but I found it hard to comprehend why anyone would want to drink alone. It seemed sad to drink just for the sake of getting drunk and being too overcome by boredom or stress to seek out anything else. It might not be for me, but responsible drinking is what makes some people feel relaxed and happy. It should be okay to do so responsibly in a safe space. As cliché as it sounds, college is the time to discover who you are academically, socially and spiritually. Without experimentation, that is almost impossible to do. As a sober person, it might seem easy to pass judgment on people drinking and doing things they would not imagine doing while not intoxicated. While I can have fun spending time with someone who is inebriated, there are those who remain sober who cannot. Some do not appreciate the behavior common to most young people getting drunk for the first time — loudness and clumsiness. Yet, if someone’s drunken behavior is not offensive or harmful, there is no need to deride them and pass judgment. As someone who is a designated “sober walker” and who has been sober around intoxicated people from my first day on campus, I know that providing a safe space for someone is more than just staying sober, monitoring their intake and making sure they get home safe. To really create a safe environment for first-years, it is crucial to provide a judgment-free zone for friends who do decide to drink. Adjusting to college is difficult for everyone, and we could all do with respecting everyone’s choices, whether it is to drink or not to drink. The biggest struggle of staying sober is not always standing by the choice to not drink, but learning to accept those who may choose differently.